The time we spend in the kitchen often revolves around cooking and preparing food, one of the most crucial parts of our everyday lives. 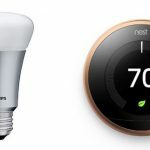 The best smart kitchen appliances are here to make your time in the kitchen as efficient and enjoyable as possible with the addition of connected technology to those essential utensils and devices. Check out our guide to the essential small smart kitchen appliances for your culinary space and discover the perfect recipe for stress-free food preparation at home. 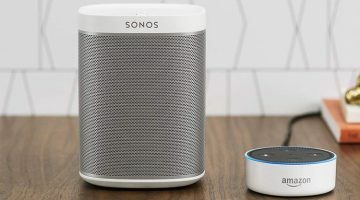 We’ve taken a look at the best smart kitchen appliances, gadgets, connected tools, and intelligent utensils to bring together an essential list of smart kitchen devices for cooking, baking, preparing, and finishing the perfect dish or recipe. 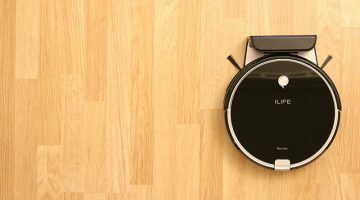 Grab an apron and let’s take a look at some of the best smart kitchen gadgets for getting it done right. We’ll start the list like we start our day – with a hot cup of smart coffee! Probably one of the first (in the day at least) things that comes to mind when you think of smart kitchen appliances, is the ability to handle the morning coffee. The Mr. Coffee Smart Coffeemaker allows you to schedule your brew time using the accompanying WeMo app from any smart device so you can be sure your coffee is always fresh and hot. 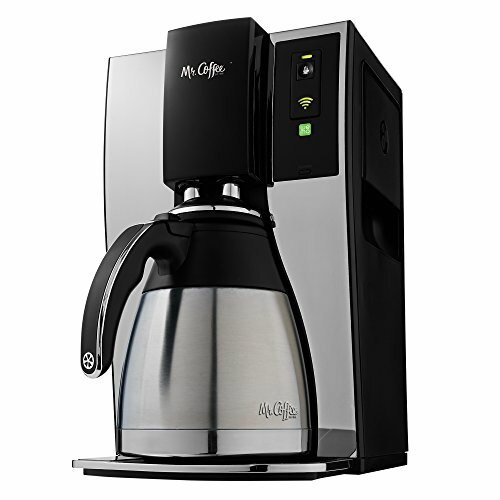 Already known for the quality of their coffeemakers, the ‘Optimal Brew Technology’ of Mr. Coffee coffeemakers means that your cup will not only be smart but brewed in under 7 minutes. Lost your phone? No problem, this smart coffeemaker still has a good old-fashioned ‘Brew’ button to manually get things going. The best-friend of the busy cook just became even more helpful. Control your cooking time and temperature directly from the WeMo app or directly on the unit – perfect for getting things underway on your way home from work or if you just don’t feel like leaving the sofa! 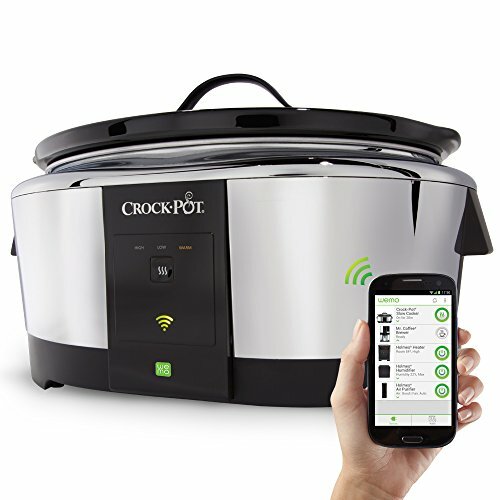 The Crock-Pot Smart Slow Cooker also allows you turn the device off remotely or simply keep things warm at the touch of a screen. 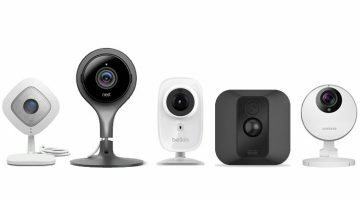 The best smart kitchen appliances need to work on a set and forget basis as much as possible and the ability to control this slow cooker using your phone takes this to the logical next step when it comes to home automation and remote control. The kitchen memo is one of those essential things, and whether it’s a piece of paper on the fridge door or a board on the wall, we all know how useful they tend to be. 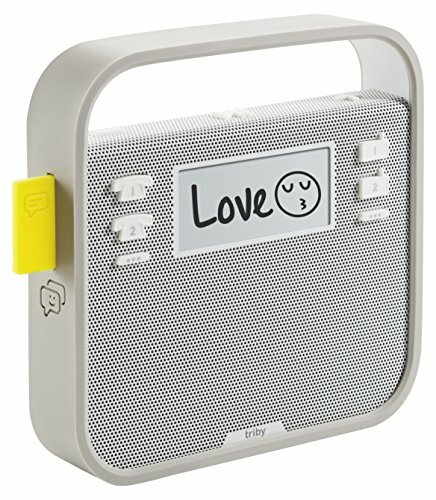 This is where the Invoxia Triby comes in. 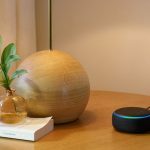 Effectively a smart speaker system crossed with a traditional kitchen memo system, this smart kitchen appliance offers the ability to leave messages for your loved ones as well as Wi-Fi calling capability. A screen on the front of the Triby allows you to sketch a note on the screen of your smartphone – “Don’t forget to pick up milk”. 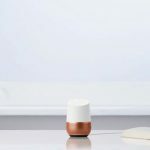 If you’re looking for one of the best smart kitchen appliances for keeping note of the essentials for refrigerator inventory, grocery lists, and everyday voice memos, the Triby is for you. 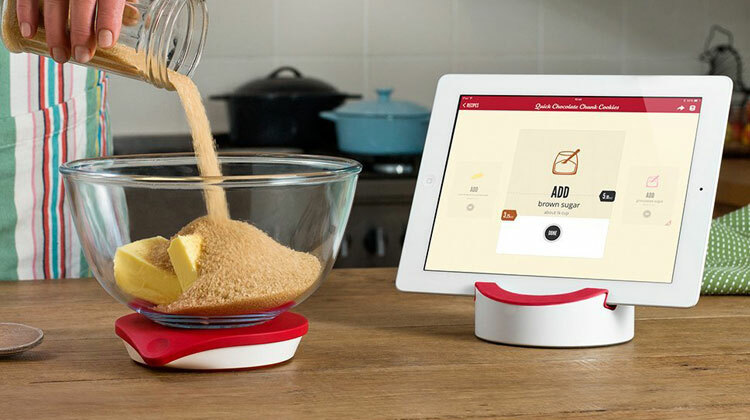 The humble kitchen scale is one of those devices that lends itself perfectly to as a natural addition to the best smart kitchen appliances and the Drop Connected Kitchen Scale will have you baking like a pro in next to no time. Simply select a recipe or dish from the companion app recipe book and the system will walk you through the rest, helping you bring together the exact ingredients required to cook up a storm in the kitchen. A particularly awesome feature of the smart kitchen scales is the fact that the app will provide alternatives or ‘smart substitutions’ to replace ingredients where necessary. Yep, it’s now even possible to get a smart frying pan. What we love about the Pantelligent is how it provides step by step directions and actual temperature feedback in real-time when paired with the app. 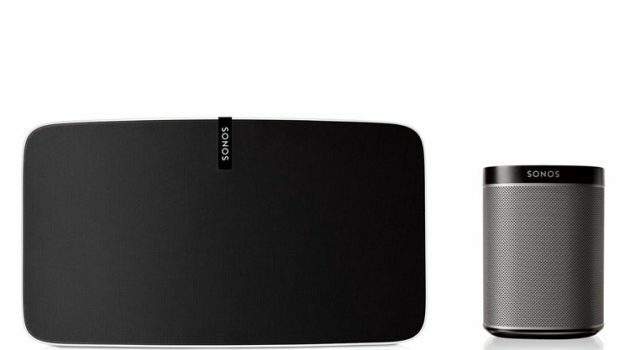 An optional ‘auto-pilot’ mode even allows you this smart pan to control the heat automatically. 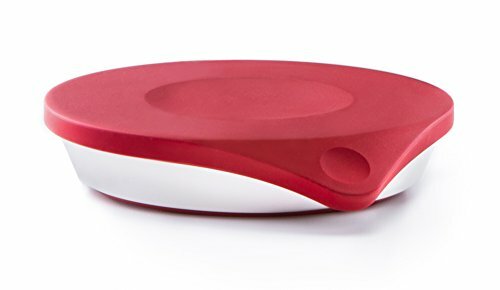 Check it out and revolutionize the way you cook with this non-stick super-intelligent utensil. So, how can you tell that you’re eating your food at a sensible and more importantly healthy rate? Well unless your parents still tell you to slow down when you’re eating, if you’re anything like us, it can be a struggle. That’s where the HAPIfork comes in. The star of CES a few years back, the HAPIfork sets the tone for smart silverware. 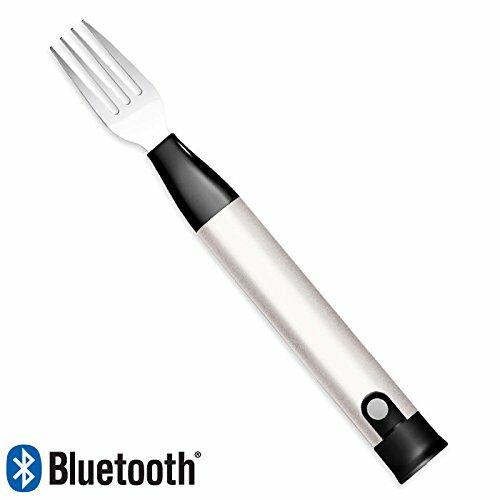 Measuring the rate at which you eat your food, the Bluetooth enabled HAPIfork buzzes and flashes if you’re going too fast and therefore helps to retrain your eating speed habits – pretty clever cutlery. If you’re looking for a smarter way to cook restaurant quality flank steak, salmon or maybe something even more special, the Anova WiFi Precision Cooker may be just what you’re after. The popular French method of slow cooking known as Sous Vide involves placing food in airtight plastic bags (the literal translation is “under vacuum”) before immersing in a temperature controlled water bath and cooking for longer than usual – often 1 to 6 hours but sometimes as long as 2 days. Before we get into the technicals, it’s important to talk about what really makes the latest circulation cooker from Anova stand out from its rivals from the outset – the affordable price point. Costing less than the older iteration by Anova and considerably less than some of the other competitors in the Sous Vide and Circulation Cooker space, the latest Anova WiFi Precision Cooker offers great results at a price which doesn’t make you lose your appetite. Offering both WiFi and Bluetooth connectivity, the Anova Precision Cooker provides an excellent smart solution to cooking restaurant quality food from the comfort of your own home, without constantly having to watch over your work for what may take hours. As mentioned above, one of the main features of sous vide cooking is that ingredients are suspended in an air-tight container within a water bath while the temperature of the water is gradually brought up to the perfect cooking temperature. Previously being the preserve of high-end restaurants and professional chefs, the ability to cook sous vide was often only available with a high-end price tag to match. The latest offering from Anova finally brings this style of cooking within reach with one of the most innovative smart kitchen appliances currently on the market if you’re looking to get serious about cooking. The Anova WiFi Precision Cooker is designed to clamp onto the side of your regular pot, suspending the lower half of the device (containing the heating element, thermometer and circulation components) into the water. While the heating coil brings the temperature of the water up to the desired level for cooking, the thermometer ensures that the temperature is kept exactly where it needs to be while a circulation fan ensures the level is kept even throughout the pot. Above the water level, the top half of the device allows you to set the required temperature using a scrolling wheel for input and a display at the top of the device to let you know how things are looking. So the device itself is pretty awesome, but that’s only 50% of what’s on offer here, what truly makes this intelligent piece of culinary kit shine is the ability to control your cooking through the companion app. 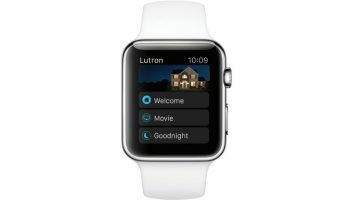 Simple but effective, the app incorporates the essential dials for ensuring your dish is cooking exactly how you want it at all times, providing temperature control, a timer and a good selection of recipes to get you started. 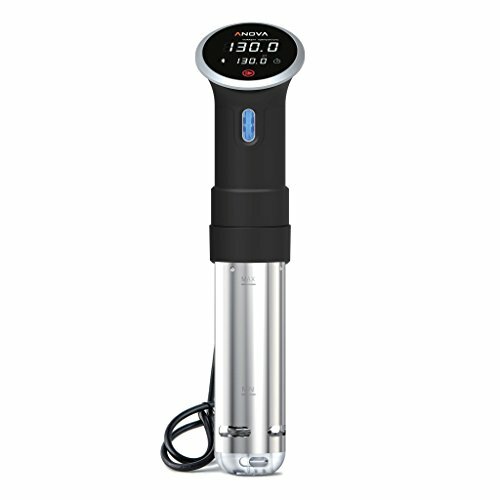 A refined build (and a lower price tag) over previous models and similar offerings from rivals make the latest Anova Precision Cooker an excellent choice for those looking to bring professional cooking into the kitchen without the time and cost investment of a dedicated sous vide cooker. With WiFi and Bluetooth now built in as standard, if you’re after an introduction to smart sous vide cooking, you really can’t go wrong with this. If you’re anything like us, then a morning hit of something hot and caffeinated is probably an essential start to the day. 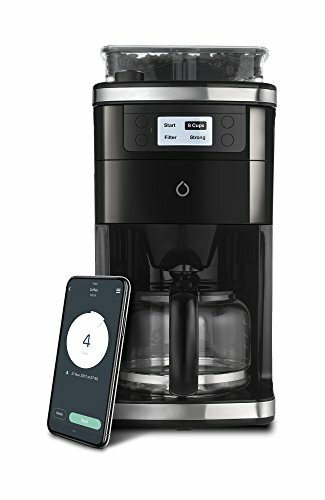 Providing the ability to remotely brew your coffee from anywhere in the home using the Smarter mobile app, this smart coffee machine contains a whole host of high-tech features to start making your daily brew that little bit more intelligent. Perhaps the most useful feature to get your day off to an energized start is the ability to schedule an alarm meaning that you can be sure you’ll always wake up to freshly brewed coffee. Working alongside the machine itself, the app allows you to directly adjust the strength of your coffee as well as how many cups you want it to make. One of the super useful features of this smart coffee machine is a real-time update on your smartphone which lets you know how much water is left in the machine meaning you can always keep on top of the workings of your automated barista. The Smarter Coffee machine allows for multiple users to connect to the device at once – up to 4 at a time – meaning that people can each set their individual preferences for the perfect cup, each getting a separate alert when their cup is ready. If you feel like getting more hands-on, the Smarter Coffee contains a smart control panel for direct control. Simply top the machine up with the coffee beans of your choice, add some water (the machine holds enough to make 12 cups) and then let Smarter Coffee take care of the rest. For those times when you get pulled away from the finished brew, all is not lost. The machine will keep your coffee warm while you take care of business. One of the features of the Smarter Coffee machine that we especially appreciate is what the guys at Smart call ‘Home Mode’ which activated the machine when you get back to the house – the perfect pick me up after a long day at work.